Dr Amr Fathy worked and operated an extremely successful Dermatology Clinic in Kuwait, with an impressive roster of 25,000 clients ranging in age from infants to seniors. He has worked with 52 nationalities including the US army. His clientele came from as far away as Canada for his services. In 2005 Amr made the decision to immigrate to Canada with his three children and wife. His family settled in Halifax in June of 2010 while Amr continued to work in his practice in Kuwait. Dr Fathy is thrilled to be opening his Canadian practice where he will do non invasive Aesthetic Laser treatments and also teaches advanced Aesthetic laser Technology course. 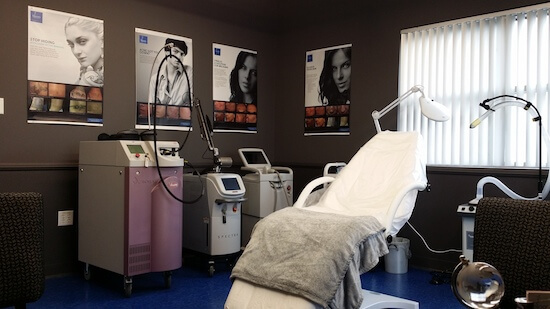 bloom laser clinic believes that everyone should have access to the science of beautiful skin. At bloom, our 25 years of experience embrace the latest Laser technology to deliver affordable and non-invasive skin treatments. Dr Fathy is thrilled to be opening his Canadian practice .